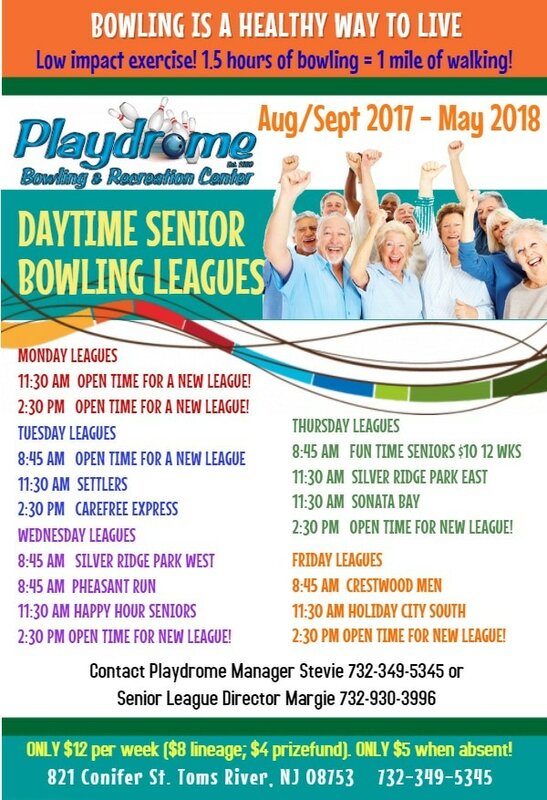 Become a Playdrome League Member and start saving today! 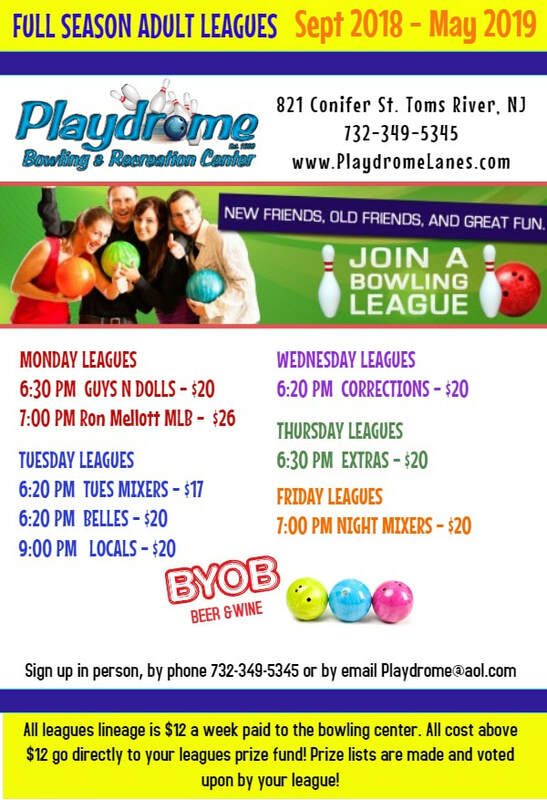 ​All Playdrome Full Season League Members receive 10% OFF all events such as birthday parties and fundraisers! 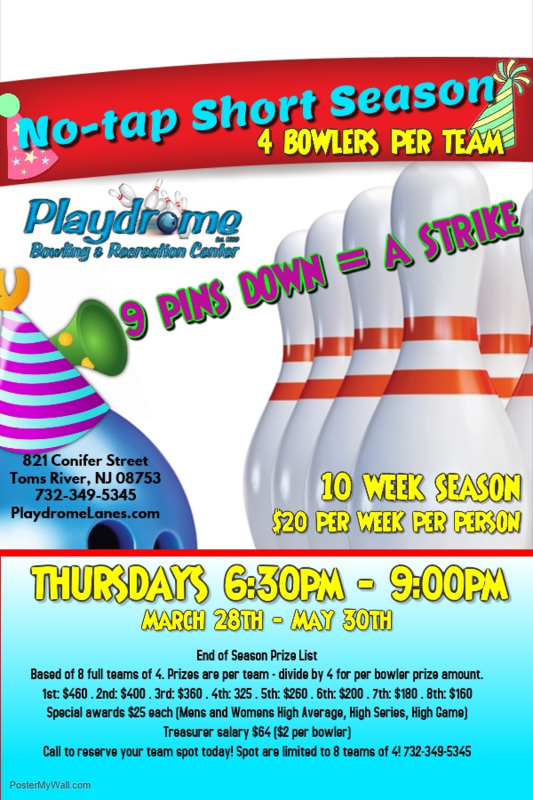 Playdrome League Members also receive our best bowling rate discount! 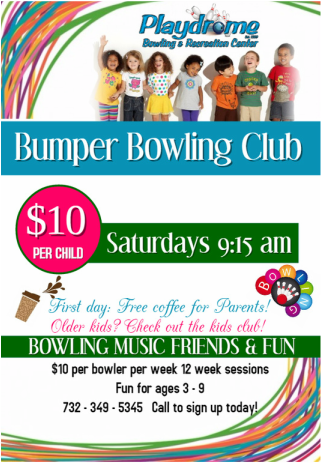 Buy one game of bowling then bowl one game free of charge Monday - Saturday 8:00am - 5:00pm*! 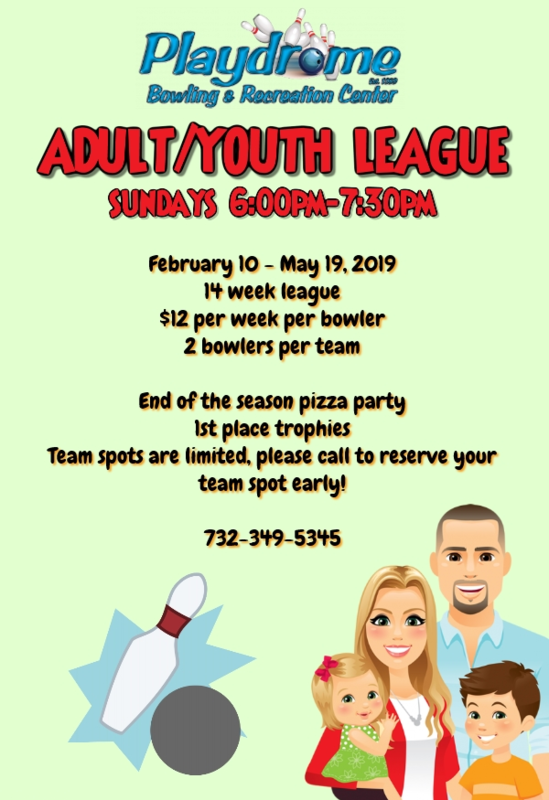 Split season and short season leagues to join now! 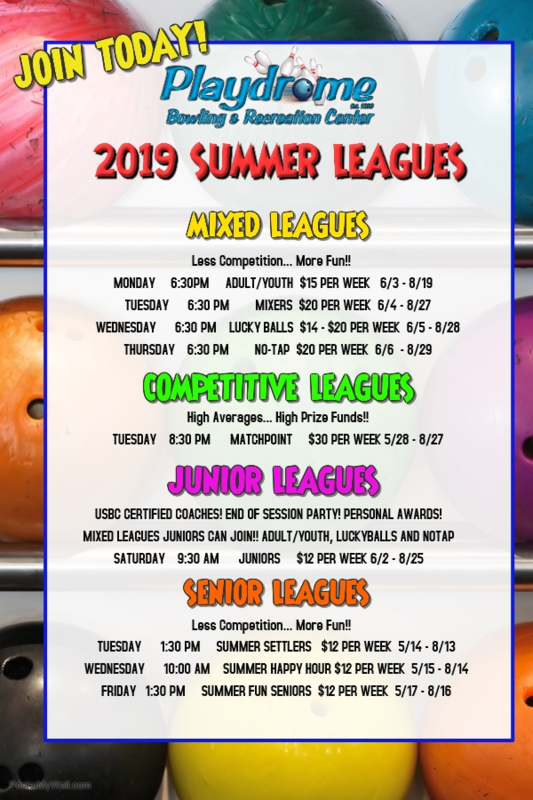 2019 Summer Leagues! Sign up today!